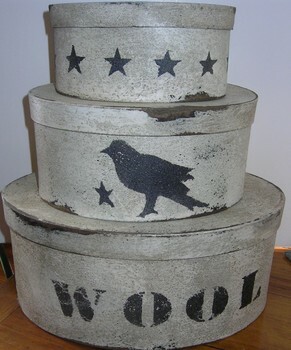 this set of three paper mache boxes is hand painted white and has been hand stenciled with black letters wool, crow, and black stars. The set stands 12.5 inches with the largest being 11x8 oval. Each box is distressed and antiqued for a primitive aged look.